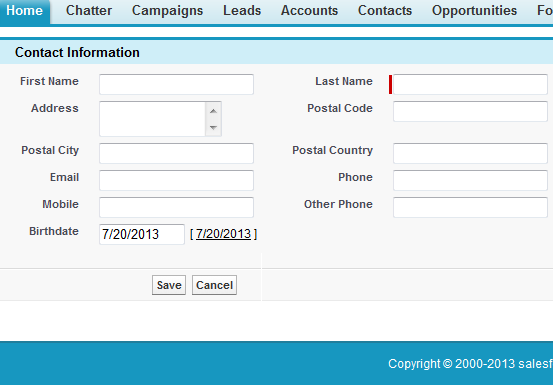 Infallible Techie: How to get contact's State, City, Country fields in Visualforce page? How to get contact's State, City, Country fields in Visualforce page? How to add Chatter Answers in Visualforce page? How to convert Set to List in Salesforce? How to create Inbound changeset in Salesforce? How to create Outbound change set in Salesforce? How to login into Sandbox in Salesforce? How to create a Sandbox in Salesforce?